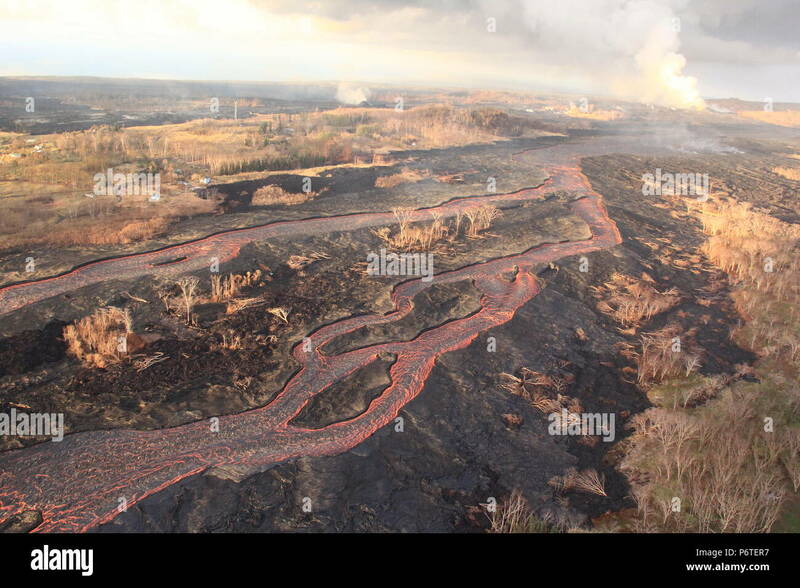 Lava flowing into an open channel from fissure 8, seen on the far right, travels to the sea 8 miles away caused by the eruption of the Kilauea volcano June 30, 2018 in Hawaii. The recent eruption continues destroying homes, forcing evacuations and spewing lava and poison gas on the Big Island of Hawaii. 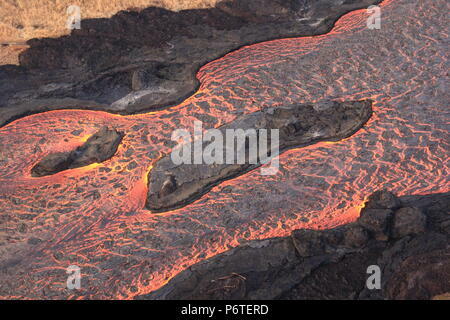 Lava flowing into an open channel from fissure 8 travels to the sea 8 miles away caused by the eruption of the Kilauea volcano June 30, 2018 in Hawaii. The recent eruption continues destroying homes, forcing evacuations and spewing lava and poison gas on the Big Island of Hawaii. 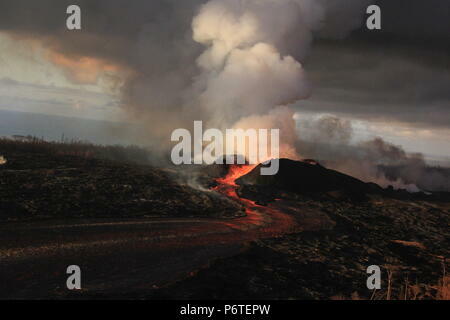 Lava fountains continue to spew magma from the 180 foot tall spatter cone with lave flowing into an open channel at fissure 8 caused by the eruption of the Kilauea volcano June 30, 2018 in Hawaii. The recent eruption continues destroying homes, forcing evacuations and spewing lava and poison gas on the Big Island of Hawaii.